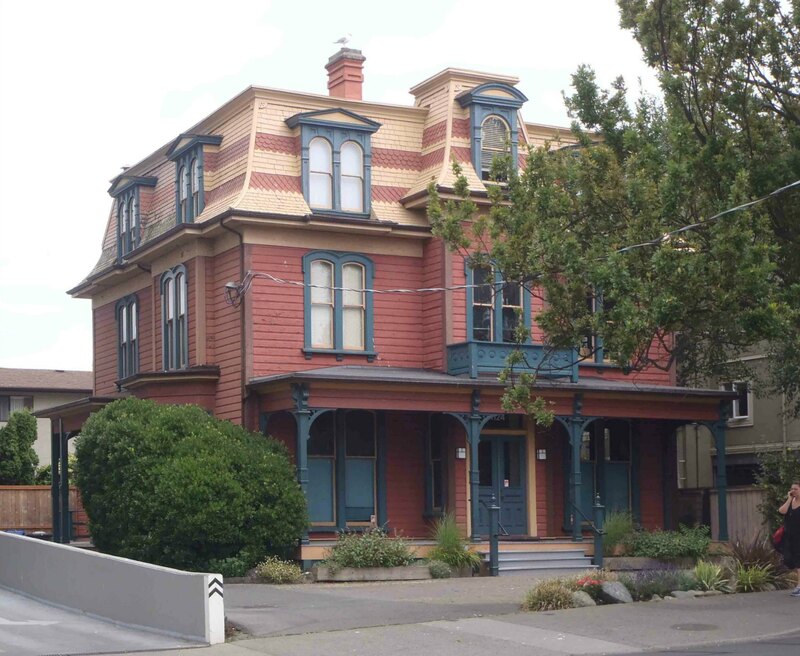 1124 Fort Street was recognized by the Canadian Register of Historic Places in 1971 and declared a Victoria Heritage building in 1992. It was built in 1886 for a dentist named Thomas .J. Jones and his wife Susannah at an 1886 construction cost of $8,000. It is considered one of Victoria’s best examples of the “Second Empire” or “Mansarded” style of architecture. Thomas and Susannah Jones named this house Trebatha and it was referred to by that name in early city records and directories. Thomas Jones is also associated with 1171 Rockland Avenue, which he moved to in 1910. Here is a photo of 1124 Fort Street in 2005, before the porch was reconstructed. 1124 Fort Street was built in 1886 for Thomas Joseph Jones (1844-1924) and his wife Susannah (nee George; 1841-1908) at an 1886 construction cost of $8,000. Thomas and Susannah Jones lived here until 1909, when Susannah died, aged 77. Thomas Jones remarried in 1909 and moved from 1124 Fort Street to 1171 Rockland Avenue. After Thomas Jones moved to 1171 Rockland Avenue in 1909, Elizabeth Webb ran a boarding house here until 1916. This house was vacant in 1918 although there is some indication it was used as an emergency hospital during the Spanish flu epidemic of 1918-1920. Between 1921 and 1940 it was owned by George Walton (1870-1939) and his wife Ruth Ellen (nee Feldon; 1872-1959). After George Walton’s death in 1939, Ruth Walton sold the house in 1940 to William Henry Caton (1870-1961) and his wife Louisa (nee Phillips; 1886-1962). The Catons ran a boarding house here until 1952. After the Catons left in 1952, 1124 Fort Street appears to have been used as a boarding house and/or apartments until 1992, when it was purchased by architect John Keay, who restored it to its present condition. John Keay’s firm firm, Keay & Associates, has its offices in the building. 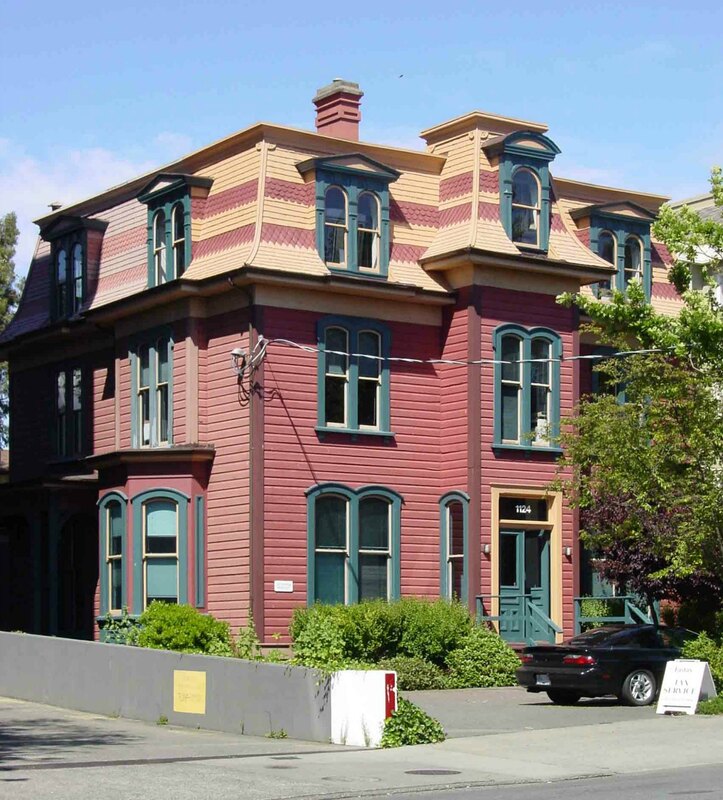 1124 Fort Street was formally recognized by the Canadian Register of Historic Places in 1975 and listed on Victoria’s Heritage Building Registry in 1992.